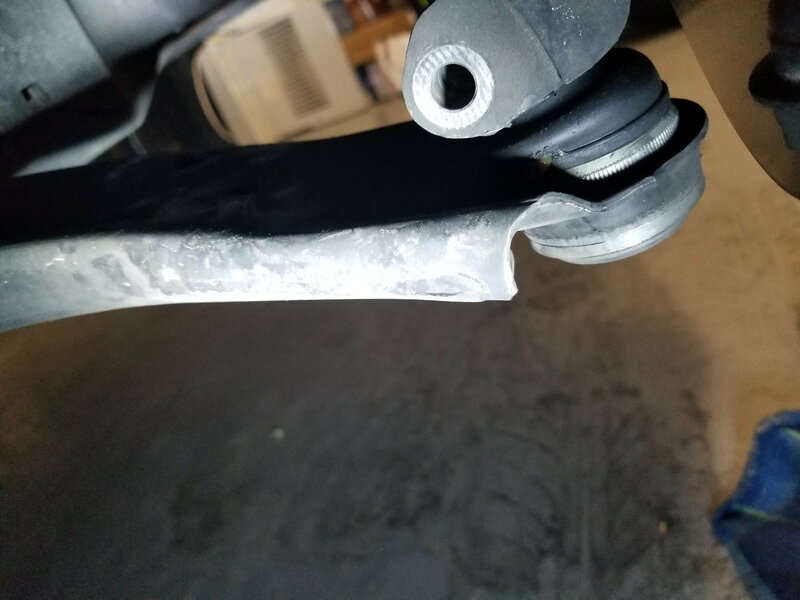 I have a 2006 Mazda 3 2L that made a large clunking sound recently and after I got home I looked under the car and noticed that the lower control arm on the passenger side is missing the bolt that keeps the tie rod from coming out. Recently the axle boot was replaced at a service shop and I suspect that they did not properly put the bolt and nut back or failed to do so properly. I am tempted to bring it back and have them fix it but don't think it is very safe to do so so may just do it myself and be done with it. However, I'm having issues finding the part number for this. 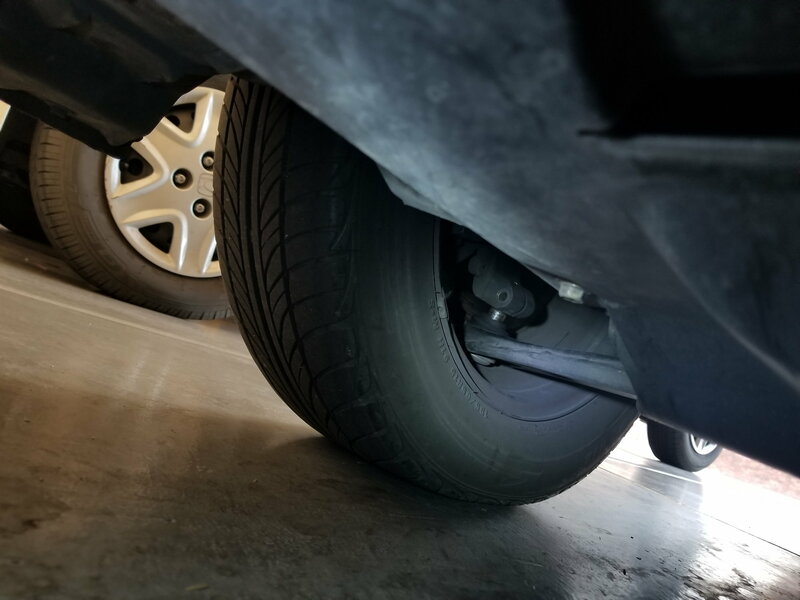 When I look at tie rods for this vehicle, they don't show the nut and bolt that fell out so I am assuming that this maybe is not something that comes with the tie rod kits? Does anyone know the part number? I have attached an image. Last edited by monkeyfart; 01-13-2019 at 07:57 PM. That is the lower ball joint. Nothing to do with a tie rod. Thanks I sometimes get them mixed up. No, it does not come with the control arm or the tie rod kit. You can use a standard bolt and nut to get you to the repair place. I don't remember what the size was (maybe M6? ), but its a pretty standard length and nut. You could maybe sneak by with a standard 5/16" just to get you there. The lower ball joint has a ridge on it so all you need to do is get it pushed in far enough to slide a bolt in, tighten, and its good to go. Do not drive it as it sits right now. Thanks. We ended up buying bolt from Mazda. It has 10 written on it. Surprisingly dealer said they don't sell the nit so went to home Depot and got nut. It is 10mm and threads 1.25 as I remember. I got it on torque d and thread locked but gonna have to find new nut as this zinc one is not stainless and will corrode. Hit your local salvage yard and go get one off any Mazda 3. Personally, I would go to a "you-pull-it" place so you don't pay something foolish for a bolt. Thanks I like that idea. I see online that my salvage yard has about six Mazda 3s so odds are good I'll find it.